From computer generated influencers to AI-led fashion design: digital technology and social media have impacted every aspect of the fashion world from concept design through to marketing and customer engagement. There have never been more opportunities created for a broad variety of players to capitalise on the innovation offered through technology and never has navigating the routes of successful product design and marketing been more complex. Big brands utilise tech for personalisation on mass production while small players exploit economies of scale and media reach in this brave new world. Scotland has a long and rich heritage in textiles but a young and innovative fashion industry. What does the future hold? 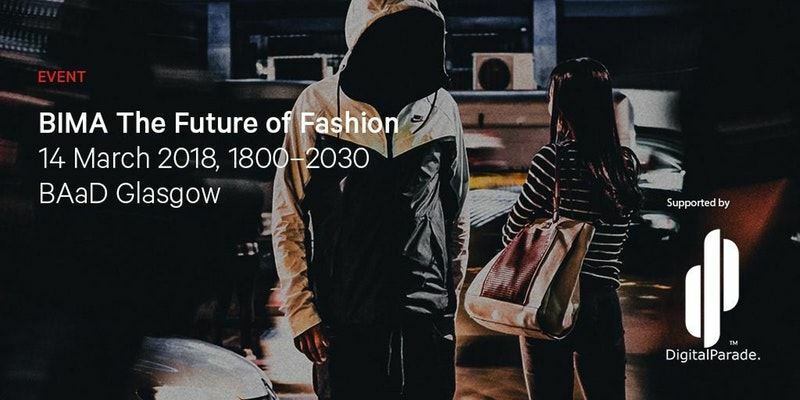 BIMA’s Future of Fashion evening brings together an exciting panel of speakers taking an in depth look at how the industry is being disrupted: where are the challenges and opportunities and what can we expect to see next? This event is hosted by BIMA Scotland and supported by Fashion Foundry and Textiles Scotland.